Every one of these best horror movies on Netflix is worth rewatching a few times. These are the scariest horror movies on Netflix currently, and I just added them all to my Netflix Queue again. 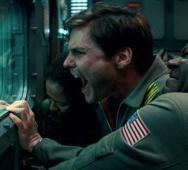 Below the Flick Connection video is trailers and movie details for each horror film. The films below include killer clowns, supernatural possessions and hauntings, a video game adaptation, and a few surreal horror movies. Check out this fantastic list of the Top 10 Stranger Things Season 2 movie references. 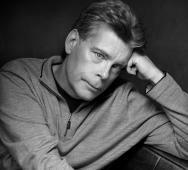 We added actors, director, and movie trailers to the brief list below the video. I agree strongly with this list and not only was it entertaining, but it was also very informative. 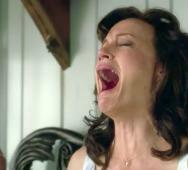 The video does, however, contain many spoilers. 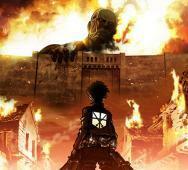 Thanks to WatchMojo for creating and posting this list, please like and share. Check out this list of the best Stranger Things theories on Reddit. A lot of interesting theories, most of which many of us were thinking with detailed explanations as to why. 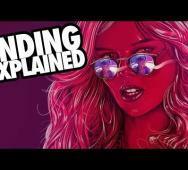 With so many references to so many hits from the 80’s, there are so many theories you can pull of this popular Netflix TV Series. Thanks to Alltime10s for posting this video. 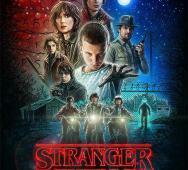 Check out this list of movies including TV shows that you should like if you enjoyed watching Netflix’s Stranger Things Season 1 via WatchMojo. The films and shows listed here contain children in weird situations, 80s nostalgia, and fun times. Thanks to WatchMojo and hope you enjoy the list. Guillermo del Toro's TROLLHUNTERS Season 2 Confirmed!? Guillermo del Toro fans will love to know that Netflix has confirmed that they are moving forward with the Trollhunters Season 2 TV series. Netflix’s Trollhunters is a TV series that I enjoy watching with my younger children and am excited to see what happens to Jim in the next season. Kelsey Grammer, Ron Perlman, Steven Yeun, and Anton Yelchin (before his untimely tragic death, he will be missed) voiced the parts in the first season of Trollhunters. Netflix’s Black Mirror Season 3 premiere is set for October 21, 2016, on Netflix. We included some things you can expect to see in this new season of Charlie Brooker’s Black Mirror below. 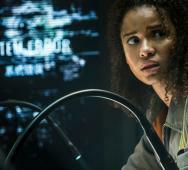 Chris Martin Hill, Hannah John-Kamen, and Paul Blackwell star in Black Mirror. 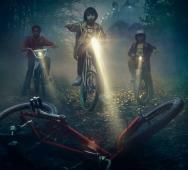 Netflix’s Stranger Things Season 1 focused on many 70’s and 80’s movie inspirations and miraculously melded it all together. 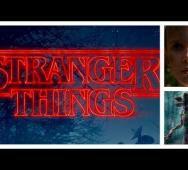 This video compares the TV series to movie inspirations including The Goonies, E.T., Alien, Firestarter, Poltergeist, Close Encounters of the Third Kind, The Shining, Stand By Me, Carrie, A Nightmare on Elm Street, Commando, and even Explorers. This video posted by Ulysse Thevenon is great for those who grew up in this era watching these movies, and it is also great to show the new generation, our children or smaller siblings. The Duffer Brothers are already planning multiple seasons of Stranger Things for Netflix, and I am so excited for Stranger Things Season 2. 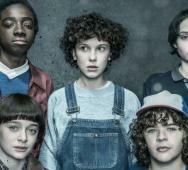 The Duffer Brothers and producer Shawn Levy recently revealed that they are planning several seasons of Netflix’s Stranger Things TV series. That is wonderful news as the series captures the awesome of the 80’s style while keeping it modern for younger viewers. My children were humming along to the classic songs from the 80’s in the show. It brought back so many wonderful memories from the 80’s and made my children ask, were the 80’s really that fun? The ending from the show marked that the first season was just a wonderful stepping stone into what could develop into an even greater experience. DreamWorks Animation and Netflix are bringing us Guillermo del Toro‘s Trollhunters series onto Netflix sometime this 2016 year. 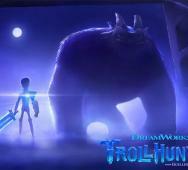 Netflix’s Trollhunters series has a first look image here that looks great; my children will love this. 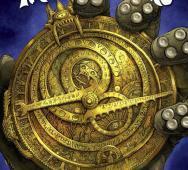 Guillermo del Toro has been developing this series for over five years now with author Daniel Kraus. 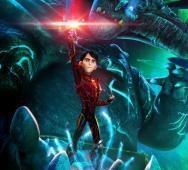 Are you thrilled to see the Trollhunters series too? Jon Bernthal revealed some news about his portrayal of The Punisher aka Frank Castle on Netflix’s Daredevil Season 2. I loved Jon Bernthal’s acting on AMC’s The Walking Dead as Shane Walsh, he never pulled his punches and did what had to be done. 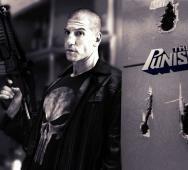 From this interview, it seems he intensified this quality and may give us the best Punisher in any Marvel movie or TV series. 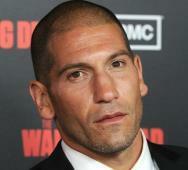 Read the Jon Bernthal’s interview excerpts below. 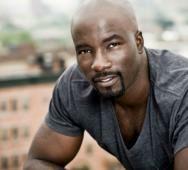 Netflix LUKE CAGE Coming in November!? 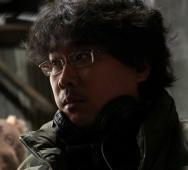 Brad Pitt via Plan B to co-produce and director Bong Joon-ho are teaming up with Netflix to create a new monster movie titled Okja (2016). 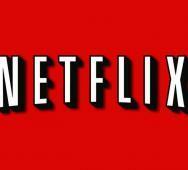 Netflix has already dedicated $50 million to make the new film. Okja is a kind-hearted monster who befriends a Korean girl. Jake Gyllenhaal, Tilda Swinton, Bill Nighy, Paul Dano, and Kelly Macdonald are all set to star in the cast. Orka is scheduled to start filming in Korea and the US in late 2016 with the premiere releasing in 2017. Marvel and Netflix have been tight-lipped with limited promos about their new TV series titled Jessica Jones but today we have the new movie poster available for you. 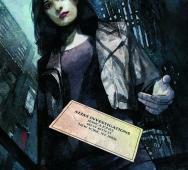 Netflix’s Jessica Jones Season 1 premieres on Netflix this upcoming Friday, November 20, 2015. 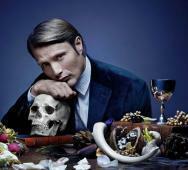 The first season will consist of 13 episodes. 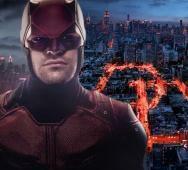 I enjoyed watching Netflix’s Daredevil TV series and hope I feel the same about this series too. 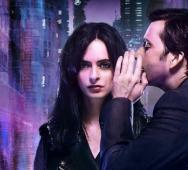 Krysten Ritter, David Tennant, and Mike Colter star in Jessica Jones. Fox is releasing The X-Files Blu-ray Collector’s Set Blu-ray this upcoming December 8, 2015. This release is in time for The X-Files six-episode event starting on January 24, 2016. 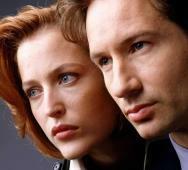 The entire X-Files TV series is available on Netflix in HD right now, so there are other alternatives to watching Mulder (David Duchovny) and Scully (Gillian Anderson) in the nine seasons. Netflix is planning to release AMC’s The Walking Dead Season 5 this upcoming Sunday, September 27, 2015, on their service for VOD streaming. This news is awesome because you can re-experience season 5’s 16 episodes two weeks before AMC premieres The Walking Dead Season 6 on October 11, 2015. 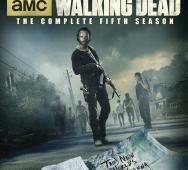 Anchor Bay Entertainment is releasing The Walking Dead Season 5 Blu-ray, DVD and limited Blu-ray on December 1, 2015. New Netflix horror movies (via Netflix Streaming) now has Darknet TV Series (2013-), In Fear (2013), R.L. Stine’s The Haunting Hour Season 2 TV Series (2010-), Mr. Jones (2013) along with non-horror movie Battle Royale 2 (2003). R.L. Stine’s The Haunting Hour is perfect for kids and family night. I was not too excited to see In Fear but for any Marvel’s Agents of Shield fans, Iain De Caestecker stars. 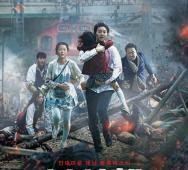 Mr. Jones is another movie that I wanted to see but heard it was not too good. Darknet I will definitely give a chance. Battle Royale 2 was not good in my opinion with Battle Royale being one of my favorite movies, it just did not live up to its potential. New Netflix horror movies (via Netflix instant streaming) for September 2014 so far include Antisocial (2013), Event Horizon (1997), The Believers (1987), Detention (2011), The Machine (2013), The Hamiltons (2006) and many more listed below. Because the list is pretty long, we only included movie posters for the must see horror movies at the very top but definitely check out the other VOD movies too. Netflix’s Hemlock Grove Season 3 has been officially confirmed but will be the series finale for the Netflix horror series. It is shocking that Netflix would not want to continue for more seasons but who knows, maybe they may change their minds later. I have to admit, I am still watching Netflix’s Hemlock Grove Season 2 but I am progressing through the episodes weekly. Hemlock Groves stars Famke Janssen, Dougray Scott, Bill Skarsgard and Landon Liboiron with Eli Roth as the executive producer of the show. 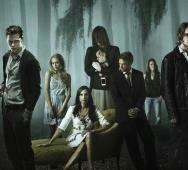 Netflix’s Hemlock Grove Season 3 will premiere in 2015 with 10 final episodes. Robert Rodriguez has just finished up with El Rey Network‘s From Dusk Till Dawn Season 1 and is already beginning production on From Dusk Till Dawn Season 2 in October 2014 with the entire cast returning. 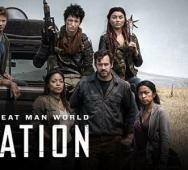 I really liked season 1 but it was bittersweet so I hope that season 2 will iron out those issues. 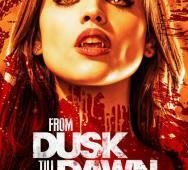 Netflix has already begun streaming From Dusk Till Dawn. 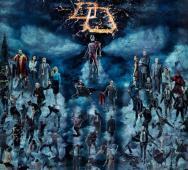 Season 1 includes 10 episodes of the Gecko Brothers vs vampires. Netflix has just updated their Netflix Instant service and added the following horror movies for instant streaming Dead Silence (2007), State of Emergency (2011), Proxy (2013) and The Tortured (2010). The real gem here is the James Wan‘s Dead Silence before he worked on horror franchise SAW. Find the Proxy review here. 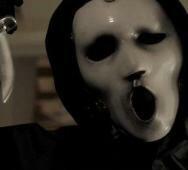 Besides Dead Silence, do you like the other horror movies added to Netflix? Netflix‘s Hemlock Grove Season 2 will premiere this July 11, 2014 and I was starting to wonder when we would get some promos for the horror series. Some really liked it while other really disliked it but I am on the like side. 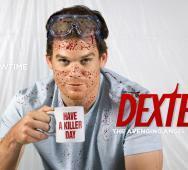 I cannot wait to see where the story goes this season. 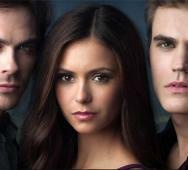 I like the whole werewolves and vampires thing. Starring in Hemlock Grove Season 2 are Famke Janssen, Bill Skarsgard, Landon Liboiron, Dougray Scott, Madeline Brewer, Madeleine Martin, Joel de la Fuente and Tiio Horn. 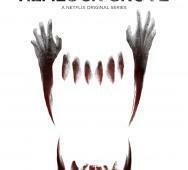 Netflix officially announced the Hemlock Grove Season 2 release date to be Friday July 11, 2014. 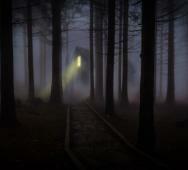 The new season will contain 10 episodes of werewolf and an upir vampire (Most vicious vampire type from Russia who walk by day. Other variations of Upir are Opir, Opur, Upyr and Upier) action. 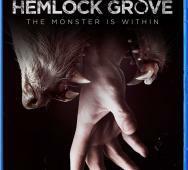 I really liked the horror series and I am stoked to see season 2 of Hemlock Grove on Netflix this July. 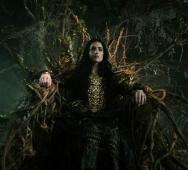 Netflix Hemlock Grove stars Bill Skarsgard, Landon Liboiron, Dougray Scott and Famke Janssen. Eli Roth will direct from a script co-written by Brian McGreevy. The series will be exclusive to Netflix.